I am posting this to make one fact obvious: I want my blog to be a place where believers (of various types), and non-believers, can interact peacefully. There is a need for such places. This is one of the things my mother taught me. The secret to “thinking outside the box” is to never have your thinking put in a box in the first place. Thanks, Mom. This would not have happened to me without you making it happen, and I only just now figured this out. I just had a middle initial assigned to me, and then later, with help, figured out what that initial stood for. With apologies for the length of this rambling story, here’s an explanation for how such crazy things happened. I graduated from high school in 1985, and then graduated college, for the first time, with a B.A. (in history, of all things), in 1992. My alma mater is the University of Arkansas at Little Rock, or UALR, whose website at http://www.ualr.edu is the source for the logo at the center of the image above. Later, I transferred to another university, became certified to teach several subjects other than history, got my first master’s degree from there (also in history) in 1996, and then quit seeking degrees, but still added certification areas and collected salary-boosting graduate hours, until 2005. In 2005, the last time I took a college class (also at UALR), I suddenly realized, in horror, that I’d been going to college, off and on, for twenty years. That, I immediately decided, was enough, and so I stopped — and stayed stopped, for the past ten years. Now it’s 2015, and I’ve changed my mind about attending college — again. I’ve been admitted to a new graduate program, back at UALR, to seek a second master’s degree — one in a major (gifted and talented education) more appropriate for my career, teaching (primarily) mathematics, and the “hard” sciences, for the past twenty years. After a ten-year break from taking classes, I’ll be enrolled again in August. As part of the process to get ready for this, UALR assigned an e-mail address to me, which they do, automatically, using an algorithm which uses a person’s first and middle initial, as well as the person’s legal last name. With me, this posed a problem, because I don’t have a middle name. UALR has a solution for this: they assigned a middle initial to me, as part of my new e-mail address: “X.” Since I was not consulted about this, I didn’t have a clue what the “X” even stands for, and mentioned this fact on Facebook, where several of my friends suggested various new middle names I could use. With thanks, also, to my friend John, who suggested it, I’m going with “Variable” for my new middle name — the name which is represented by the “X” in my new, full name. I’ve even made this new middle initial part of my name, as displayed on Facebook. If that, plus the e-mail address I now have at UALR, plus this blog-post, don’t make this official, well, what possibly could? 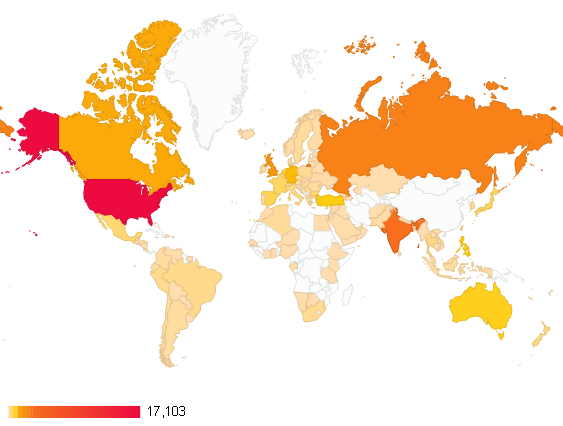 Where Are This Blog’s Readers? 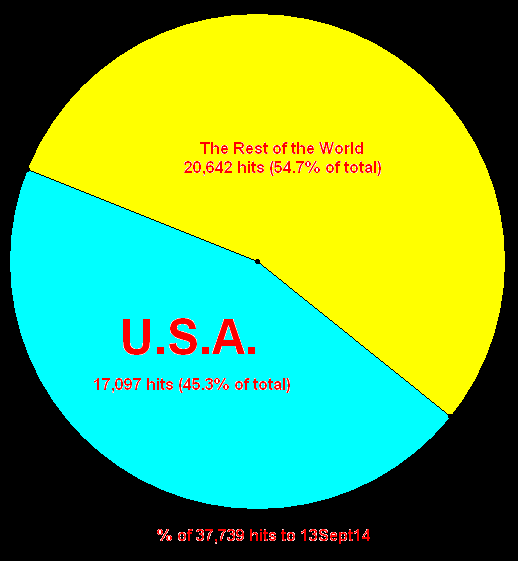 More hits come to this blog from inside the USA than any other country. Considering that I live here, that isn’t surprising. 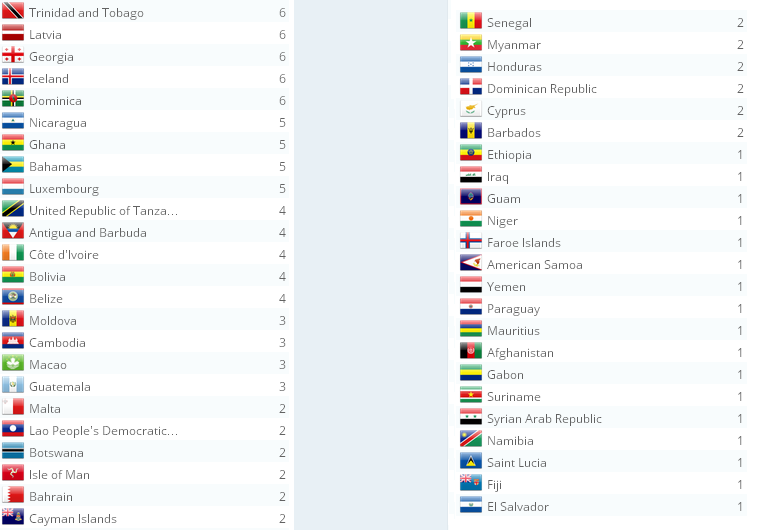 However, my international readers do outnumber what are confusingly called “Americans,” at 54.7% to 43.7% of hits to this blog. When the hits from outside the U.S.A. are considered at as a set, a slim majority of that set is held by six nations, each with over 1,000 hits. India leads this group, followed by Russia. After those non-English-dominated countries come the English-dominated U.K. and Canada, in that order. Germany and the Philippines round out this group. 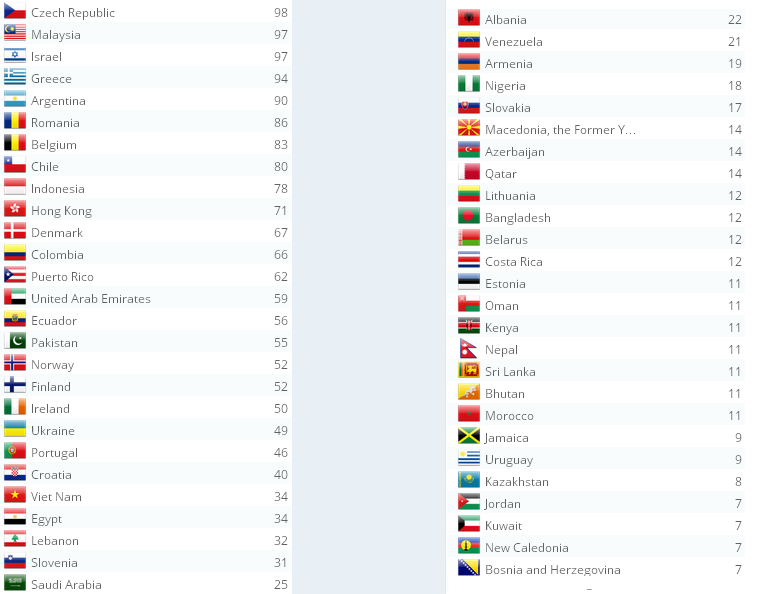 Below 100, there are numerous nations. 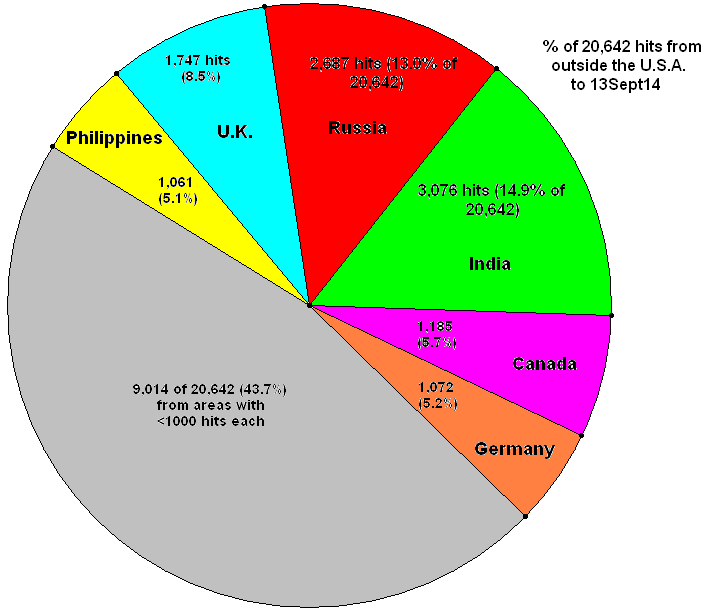 The next list goes down to the those nations from which seven or more hits have come. 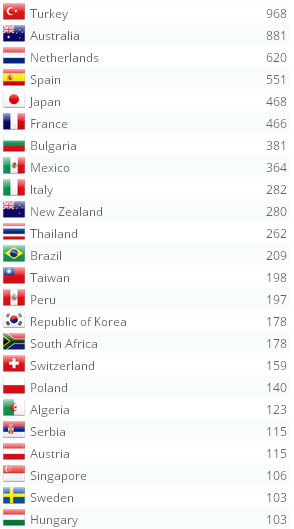 Finally, the readers in each of these nations have only seen my blog between one and six times per nation.